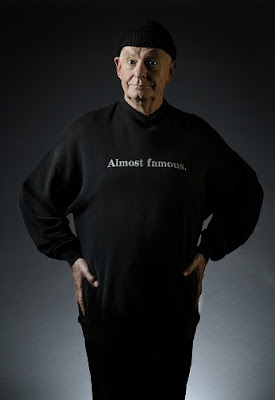 Master satirist, the indefatigable Pieter-Dirk Uys, comes to the Elizabeth Sneddon Theatre in Durban with his show: The Echo of a Noise for two weeks only from July 25 until August 6. Pieter-Dirk Uys presents the astonishing The Echo of a Noise - a one-man memoir in which South Africa’s foremost satirist sits on a barstool, opens his heart and talks about his private and public life leading the audience into his inner-sanctuary with stories that can evoke surprise, laughter and tears. Now in his 71st year, Uys doesn’t glance back at the successes and failures that have strengthened his belief in a constant improvement of his work, but at those small signposts that throughout his life subconsciously pointed him in a right and original direction: his father Hannes Uys and his mother Helga Bassel; his grandmothers, his teachers, his passions, Sophia Loren, censorship, false eyelashes and making a noise when everyone demanded silence. In a story that aches to be heard, Uys has always used humour as a “weapon of mass distraction” and his latest offering is no different. Since opening The Echo of a Noise has played to full houses and sold out seasons. The laughter he evoked as a relief from the fears that shaped South African society in 1950s, 60s, 70s, and 80s. Since opening The Echo of a Noise at Theatre on the Bay, Cape Town last year, Uys has played to full houses and sold out seasons. His masterful story-telling, wit and wisdom are generously shared. As with so many of his performances, he takes his audiences into his confidence, breaks the rules and crosses boundaries. The Echo of a Noise runs from July 25 until August 6 at the Elizabeth Sneddon Theatre in Durban. Tickets available from Computicket www.computicket.co.za 0861 915 8000 / Shoprite Checkers Money Market Counters. For block bookings only – of entire performances to groups of 50 people, contact Ailsa Windsor of Going Places: editor.goingplacessa@gmail.com or 083 250 2690.